For 2 years I have known that I was planning to go to the football world cup in Brazil this summer and therefore purchased tickets for several of the games before hand. My original plan was to travel around Brazil over the 4 weeks but due to business commitments I was only able to visit Sao Paulo and the fantastic yet overhyped Rio de Janeiro. 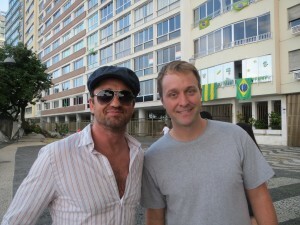 During the World Cup Brazil went crazy for everything football and especially for the national team. I remember watching the opening game vs Croatia in the main party neighbourhood of Sao Paulo and remember it taking me 15 minutes to walk 10 yards due to amount of people all in one particular place. 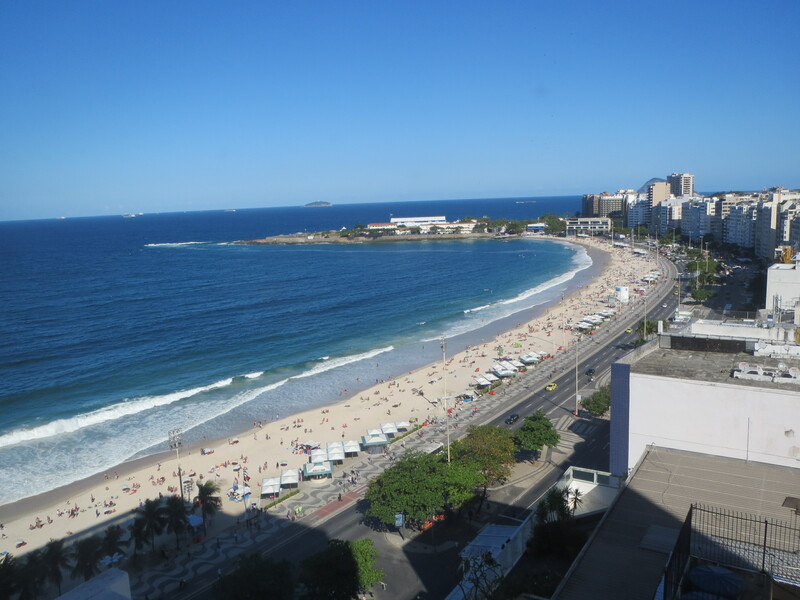 We were based in an apartment in the Copacabana district of this beautiful city for most of the duration and whilst this is not the best neighbourhood, the location was great for us and after several days we knew the area well. 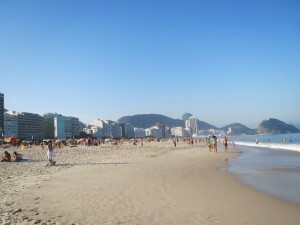 During the world cup the Copacabana was safe and secure but whether this is the case when the tourists leave is another question entirely. I did see several cases of phones being snatched on the beach at night during the games but I would not like to judge a city on that. The first thing I noticed about Sao Paulo was the sheer size of it, this is by far the biggest city I have ever visited and you can feel how big it is when you are first arrive. The buildings go on and on into the distance until you realise the city is too big to comprehend. Sao Paulo is definitely the city of commerce for Brazil and the temperature is much lower than that of Rio but there seems to be a work ethic in the city. 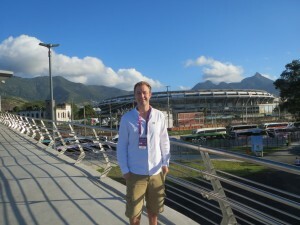 This is definitely the place where things get done and Rio is the party and relaxing city in comparison. The metro system is fantastic for getting around as using a taxi can ensure you spend what seem like hours in traffic jams. We once spent 2 hours in a taxi going from 1 hotel to another, albeit it was 30 km away but even still. Having already been to Argentina and Uruguay before I was expecting the food to be somewhat similar but overall I was disappointed for what was on offer. Obviously if you wanted to pay European prices for dishes in good restaurants then of course the food is great but as a standard tourist I found the food to be overpriced for what it is. We did particularly enjoy the ‘Chicken’/ Galletos places where roasted chicken was served with many choices of sides. On average we were spending anything from $15 to $20 per person per meal. 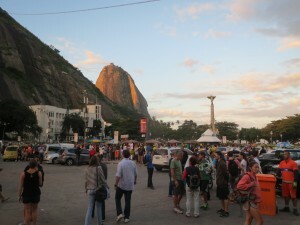 Brazilian people are overall very friendly and enjoy having fun, typical of latinos as a whole. “Brazil’s population is very diverse, comprising many races and ethnic groups. In general, Brazilians trace their origins from four sources: Amerindians, Europeans, Africans and Asians.” Wikipedia. It will be hard to beat the 2014 world cup and as a host nation Brazil can be very proud of the event that it held for the planet to see. The people, the country, the food, the facilities, the stadiums and of course the football were all 5* and therefore I cannot see Russia 2018 and Qatar 2022 being anywhere near as good as Brazil. Whether these countries should be allowed to hold the world’s biggest sporting event is a completely different topic but in my opinion after Fifa corruption has been highlighted I would argue against it.